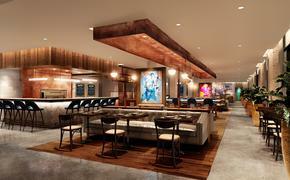 Hyatt Regency McCormick Place in Chicago has started the first phase of a $110 million expansion and renovation, the hotel’s owner, Metropolitan Pier and Exposition Authority (MPEA), announced. Phase One began with construction of a new 460-room tower set for completion in mid-2013. The second phase begins in the spring with the redesign of the Daily Grind coffee shop to create an expanded seating area with Wi-Fi. Phase Three begins in late 2012 with the expansion and renovation of the main lobby, followed by the renovation of the existing 800-room tower in January 2013. Work at the 25,000-square-foot Hyatt Conference Center will include redevelopment of the 4,000-square-foot Prairie Center into a more flexible meeting and catering space, along with three new boardrooms and a new business center. This phase also will expand Shor, a fine dining restaurant, to include additional seating capacity and a larger private dining room.